In New York, i visited ground Zero. 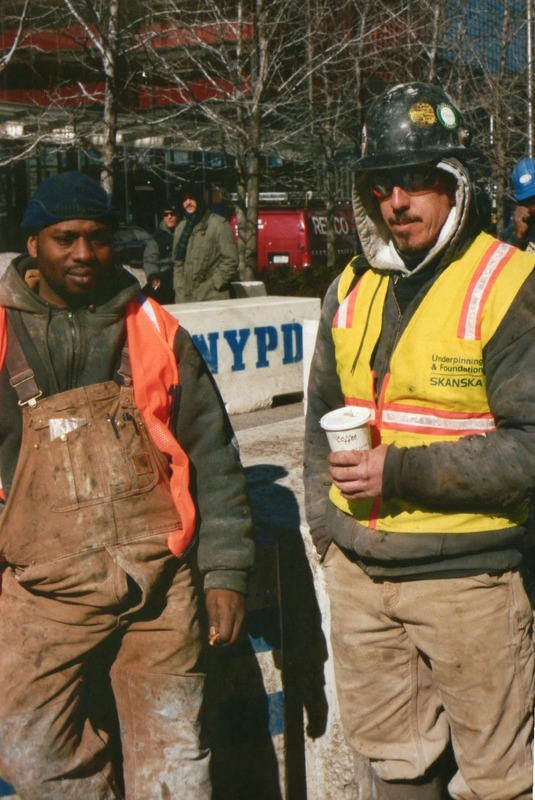 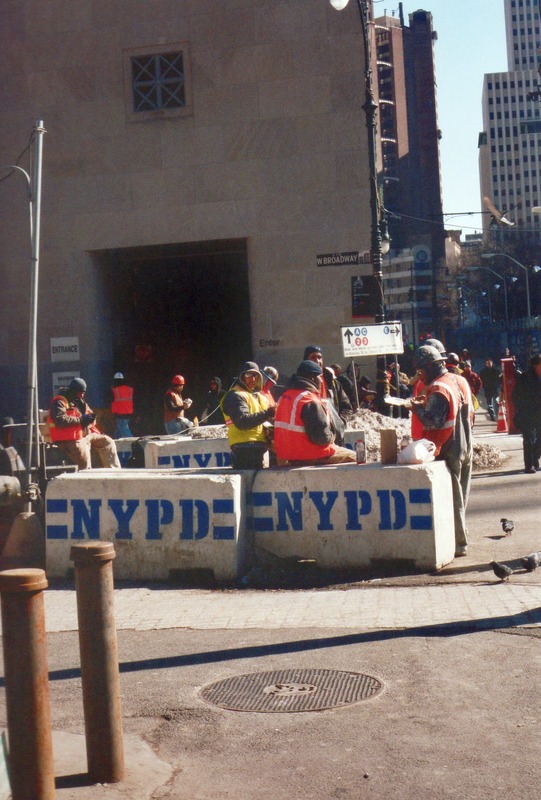 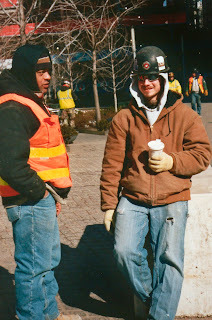 At the time i arrived to the area a lot of the construction workers for the new World Trade Centre were on their lunch break, hanging around on the street. 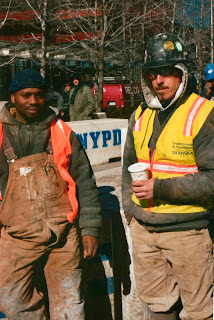 I decided to document the men responsible for the new sky scraper. 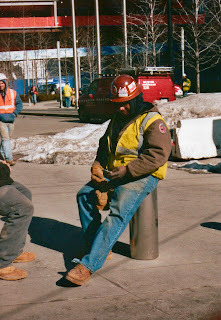 Whilst i was doing so i managed to chat to a few of the guy who were all very welcoming and happy to talk to me. 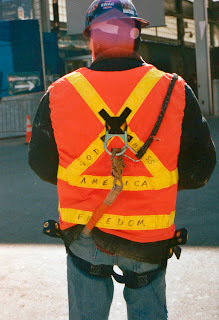 Also shot on my 35mm with colour film these are scans of the prints.